Yesterday my brother and I drove out to Los Angeles to fulfill a dream of mine and to cross off another item on my 26 before 26 list, #9: See Fountains of Wayne in concert. I first fell in love with Fountains of Wayne 13 years ago. Their self-titled album was the perfect blend of emotion, humor, and power pop. They had me instantly. As I grew up, they delivered three more amazing studio albums and a 2-disc b-sides album with songs to fit every mood and experience. For reasons unknown, I let these 13 years pass without ever seeing them live. Their touring schedule is usually light and mostly dedicated to the east coast. 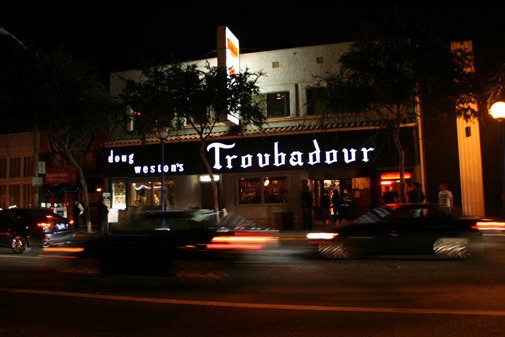 When I saw they were going to be playing at the famous Troubadour in West Hollywood, I jumped at the opportunity. I’m happy to say it was completely worth it. They played several of my favorite songs and even a few new ones. It’s really unbelievable how many awesome songs they’ve written and how much I still love each one. I can’t wait for their new album to release and to see them again as soon as possible. I snapped a few photos before the show, but was so enamored with their performance that I forgot to take any photos during. 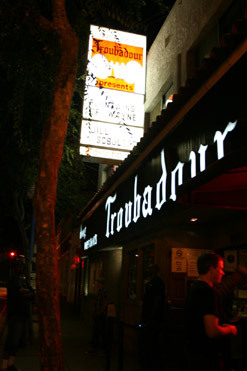 Also, the Troubadour is an amazing venue! 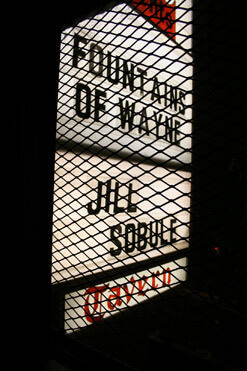 This entry was posted in 26 before 26, music, my life, travel and tagged fountains of wayne, los angeles, the troubadour. Bookmark the permalink.